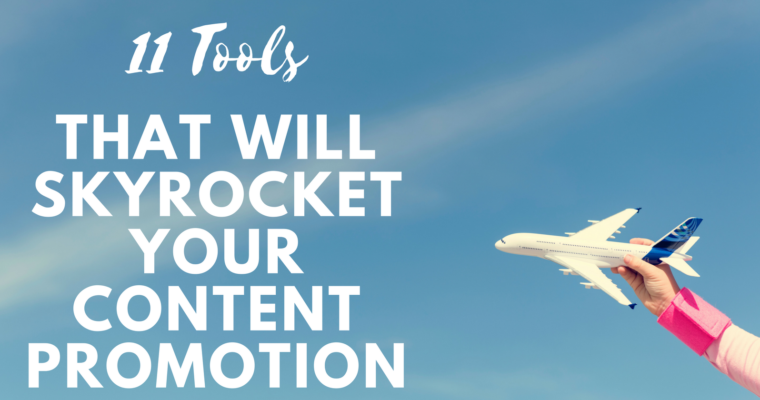 Want to skyrocket your content promotion? 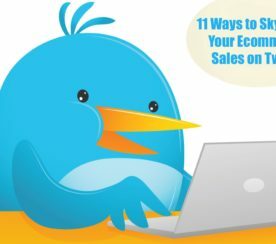 Keep reading to learn about 11 tools you can use to design artwork, tools to help you with your content outreach strategy, and some great tools for paid promotion. OK, but how does designing a visual actually affect a marketing strategy? Instead of telling the online world how much does visual content matter, folks at Venngage, a platform for designing infographics, rolled up their sleeves and surveyed 300 digital marketers to find out how visuals influenced their marketing strategies in 2016. Needless to say, they discovered a lot of interesting details, such as the fact that a mind-boggling majority of marketers (71 percent) spend only five hours a week on creating visuals. They also find out that DIY tools are still on top of a marketer’s list for creating visuals. The biggest challenge facing marketers? Consistency. If so, check out these tools. Canva is a tool for creating static images and GIFs. What’s so great about it is the fact that it’s 100 percent free, unless you want to add some extra paid features. And this free tool has a lot to offer. Canva has a huge variety of free images and photos. 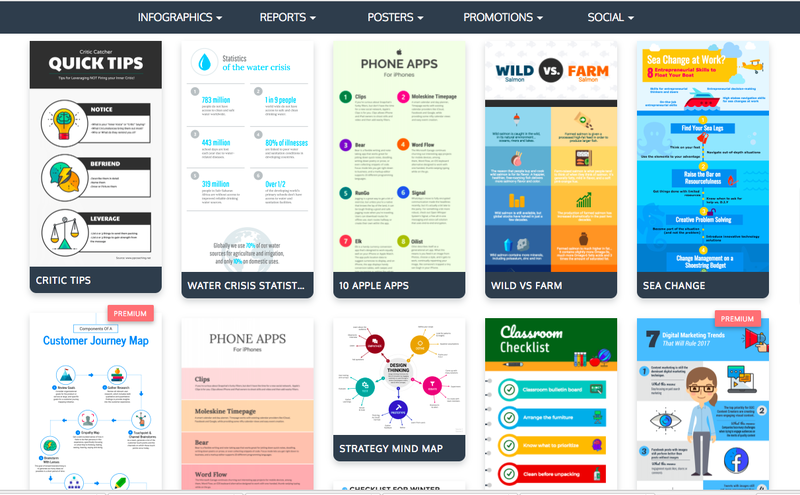 Besides that, it has tons of templates for every social media channel you can think of. You can also find templates for various promotional material: e-books, presentations, white papers, resumes – you name it! I recommend you to create your own account and invite your coworkers, friends, and other like-minded individuals to share your designs and collaborate with one another. Another cool feature a lot of people don’t know exists is an option of adding your own brand identity kit, where you can set up your color schemes, as well as upload your logos and fonts. Venngage provides free graphic design software, and is similar to Canva. Except here, infographics are the main focus. 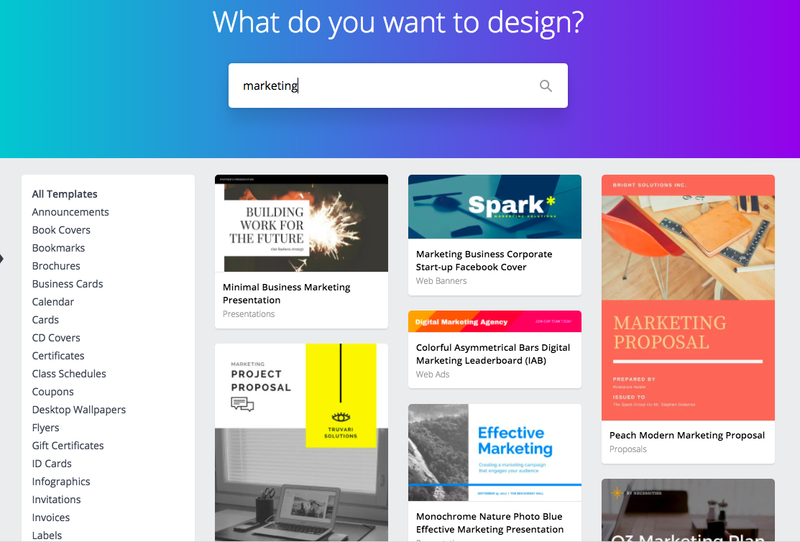 So if you’re on a shoestring budget and want to brighten your marketing plan with something more visually appealing, then Venngage is the right tool for you. 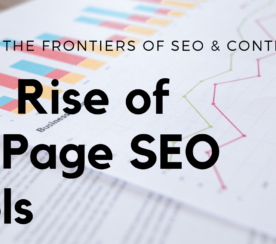 According to that Venngage survey I mentioned earlier in this post, 41.5 percent of online marketers believe infographics are the most engaging type of visual. Plus, infographics attract lots of links and shares. So consider crafting a infographic using Venngage. 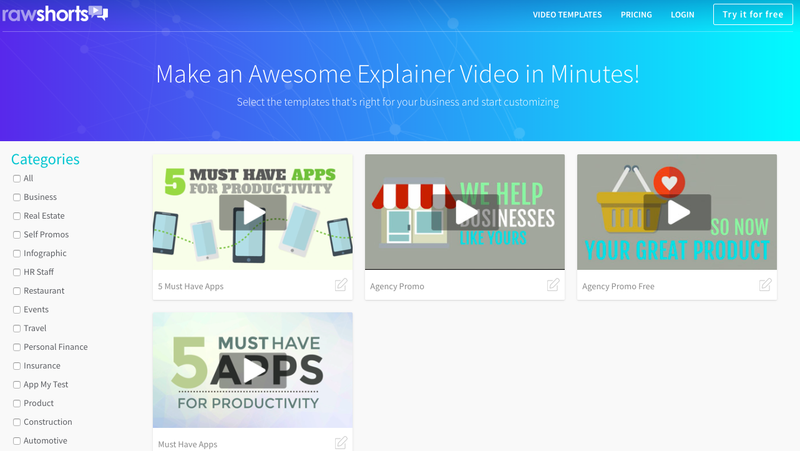 Want to demonstrate the core functions and services of your business through explainer videos – for free? If you’ve been struggling to hire a video producer, this software can seriously save you all that effort. Overall, videos impact audience’s reach and engagement greatly. Online users spend on average 2.6x more time on pages with video than without, and 4x as many customers would rather watch a video about a product than read about it. A lot of brands switched to using video content because it’s a bigger priority for Facebook compared to regular static content. In fact, people watch 100 million hours of video on Facebook every day. If you haven’t planned out an outreach strategy in great detail, chances are high that your content won’t get enough social impressions and links. Luckily, many marketing tools can facilitate the research of influencers and their contact details. Some are great for creating lists of experts for your future communication with them, and some help you with other important parts of an outreach strategy. Buzzsumo is must-have tool for organizing your outreach strategy and making it much smoother. This tool is most famous for finding out what content is popular by topic or on any website. 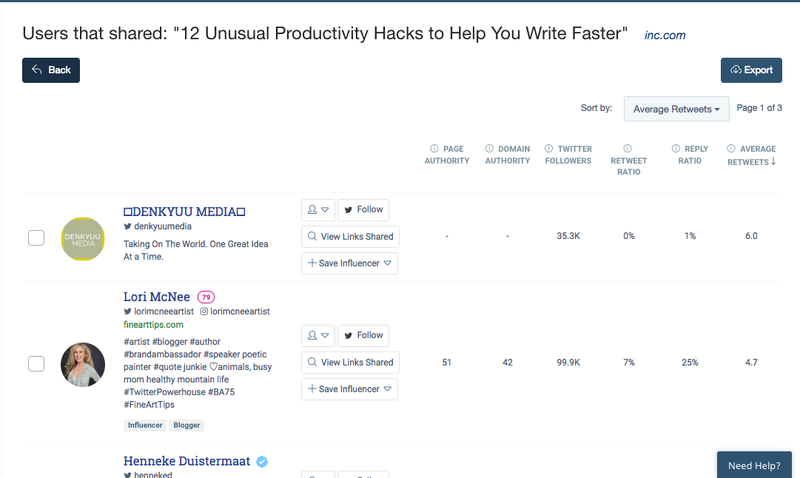 Buzzsumo also has a report that allows you to see who shared similar content. That’s how you can find people for your outreach list. Another great report in Buzzsumo provides you with the list of influencers within the topic of your content piece. What you need to do is to simply type in a your keywords (e.g. “content marketing”), and the search button will get you a list of those influencers. Want to reach out to an expert via email but don’t have their email address? Hunter.io will help you find it. This tool will let you immediately locate the email addresses behind the website you’re browsing. When you click on Hunter’s icon (Chrome extension), you get a list of people with their names, work email addresses, social networks, job titles, and the public sources where this data has been collected. François Grante, a founder at Hunter, says that all the email addresses are returned with a quality score that evaluates the confidence that they are accurate. 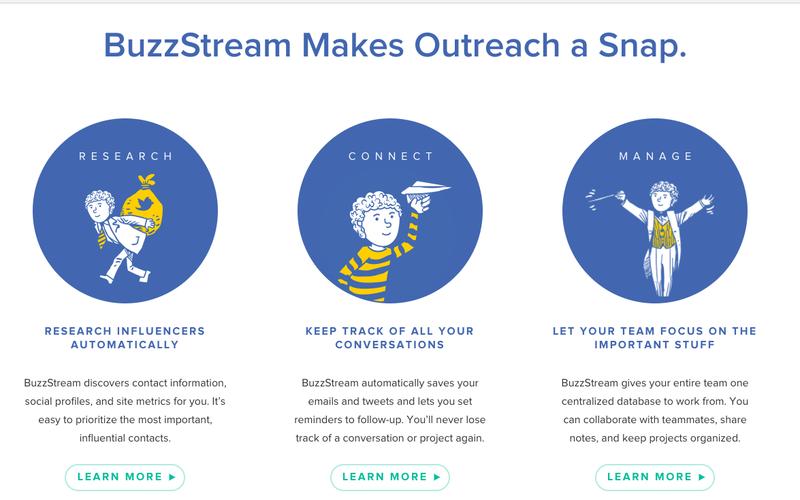 In a world of continuous content creation, BuzzStream helps marketers build the relationships with influencers, making your outreach process more organized, especially when it comes to analyzing open and response rates. BuzzStream makes the time-consuming job of email outreach and link building less stressful. With BuzzStream, you can easily manage your prospect list, add contacts to your campaign, and automatically assemble website and social metrics. To add influencers to your list and pull up their contact information, you can either upload a list of URLs from CSV, or you can use their Buzzmaker tool to mark websites from your browser. The tool will show you whatever contact information it can find, and lists the names with their domain authority, social media following, and other metrics so that you can easily organize the influencers in your list. You can use this tool to keep track of link development projects and check the status of every current campaign. BuzzStream also lets you follow up, track campaign progress, and share tasks with your team members. 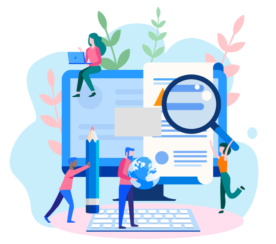 Even though people often call this “another blogger outreach tool”, Ninja Outreach stands out from the crowd by providing a platform for regardless of geographical location or language. I like this tool for its personalization of templates and email tracking statistics. What’s more, they have an influencer database from Instagram and Twitter that you can search through. The tool will pull up contact information for all results you get. Paid promotion is a great addition to your organic marketing efforts, especially if you know how to create the right kind of ads and select relevant audiences. It plays an essential role on social media platforms. Twitter, for example, requires you to create laser-targeted audiences. If you don’t consider creating custom user lists, then promoting your content on Twitter is a waste of your time and money. Because your content will be viewed and shared by thousands of bots, rather than actual people. That’s why you have to spend some time manually putting together a list for Twitter. Unfortunately, you can’t do the same trick on Facebook. However, there are a couple of tools that will assist you in setting up and fine-tuning your advertising campaigns. The first big advantage of Followerwonk is that you can export followers of any Twitter account into a separate file and filter out bots. Another great feature is the ‘Search bios’ tab. This enables you to select the Twitter users who are most likely to engage with you and content you share. Engaging with active and influential Twitter users related to your industry can significantly improve your content performance. Listpedia is a curation tool. It helps you find other people and accounts on social media on a certain topic, in a certain region, mentioning a specific skill. Here’s how it works: you can create whatever lists you wish, they become available to anyone to subscribe to these lists on Twitter or to follow those accounts directly. You can also “Watch” the lists to get notified of newly added accounts, upvote a list, export into an Excel file, or, update it and create your own version of it. This solution will literally export any list you’d like. Actually, if you know any company that has lists of experts or influencers within your industry, then this will save tons of time and effort. You can simply import those lists with the help of Listpedia and then upload them directly to Twitter. Voila! That’s where CompanionLabs can help you. 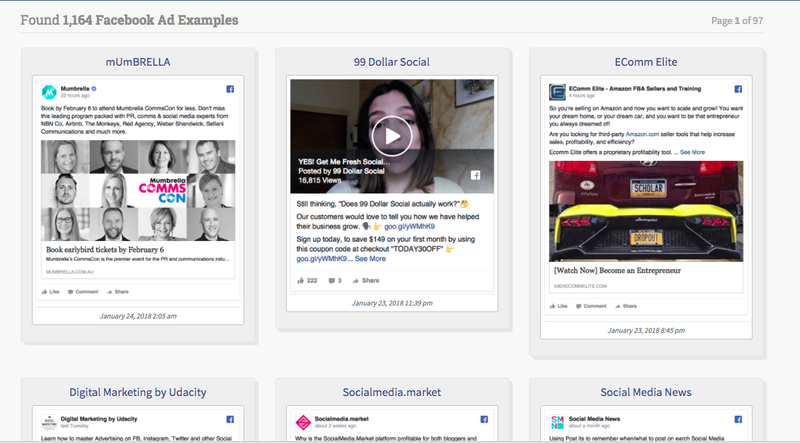 This tool focuses on manual bidding optimization on Facebook. If this is a service you’re seeking, CompanionLabs is definitely a good choice. The setup process only takes three minutes. You just need to plug-in the tool so that it can analyze all your running ads and begin making improvement recommendations. CompanionLabs can also help you with Facebook bidding optimization. If you seek an all-in-one tool that will show you how to start advertising smarter on LinkedIn or Twitter, then CompanionLabs won’t be a good match for you. If working with Facebook Ads doesn’t excite you much (because of its poor UX), then maybe AdEspresso can turn things around for you. It is yet another marketing tool for a comprehensive Facebook advertising. But it has an awesome feature that allows you to check out the most popular ads in a certain industry. This gives you a great opportunity to learn what type of content works best and what kind of picture gets more impressions. Customizable dashboards where you can pinpoint your top performing ads and focus on the most important numbers. Detailed metrics for a deeper data investigation. This tool also features “AdEspresso Academy” – a training section of their product that explains, for example, how to create your first social campaign. Hopefully you’ve discovered some amazing tools to promote and enliven your content in this post. None of these tools require you to have any specific knowledge or skills, so you can get started right away!